Originally born in a small town in Louisiana and later moving with his family to Oakland, California as an infant, Huey P. Newton became the co-founder and leader of the Black Panther Party. Director Spike Lee and Roger Guenveur Smith collaborate for the 7th time to bring Newton's thoughts, philosophies, history and flavour to life in A Huey P. Newton Story. 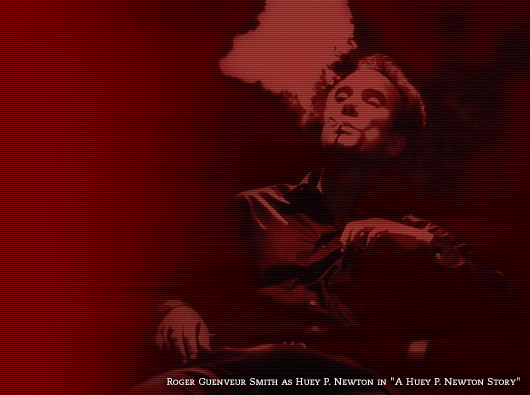 Produced by Luna Ray Films, A Huey P. Newton Story is the film adaptation of Smith's Obie Award-winning, off-Broadway solo performance of the same name. It was filmed before a live audience and Spike Lee directs the film with his signature mix of film and archival footage to capture the thoughts of this revolutionary political leader. This website explores many of the subjects only briefly touched on in the film, bringing them into greater focus and creates opportunities for further investigation into the truth behind the man and the movement he founded. He was a modern day American revolutionary.